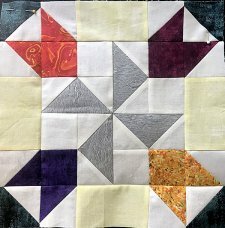 We’re very excited to report that The Fox Tiptoes Through the Tulips started in January 2019 for our first and third Saturday Block of the Month. 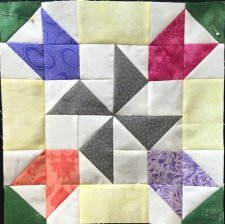 This unique Quilted Fox design is inspired by the beauty of the landscape in the Netherlands. 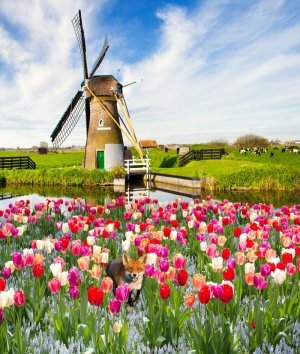 Think of the colors found in the gorgeous tulip gardens and the striking architecture of the Dutch signature windmills. Sign-ups are still open for a short time! When our maximum number is reached, the registration will close. 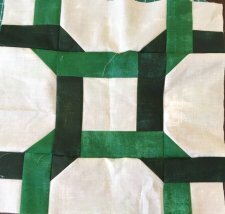 As in recent years, we have put a lot of effort into designing a complete quilt using 24/25 blocks to get an interesting, integrated quilt. For this reason, we have changed the program to have all who participate do both blocks each month. You will only have to show us the completed main block, but you will be signed up to receive both blocks each month. The rules will remain the same. In brief, complete the main block each month and show it to us on the Saturday (1st or 3rd) that you have signed up for. Be here by the time the doors close at 9:00 am, and remain for the 30/40 minute demonstration. The cost is $15.00 to start, $5.00 per month for the alternate block. 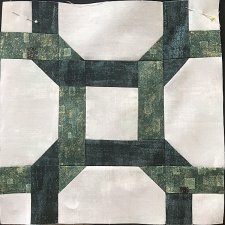 If you pay for the year in advance, it is $55.00 for the alternate blocks (total of $70.00 including start-up fee) getting one month free ($5.00). Sales tax is not included. 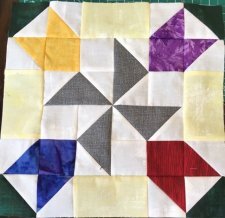 At the end of the year, you will be offered a finishing kit to complete your quilt. Do plan to join us as our signature fox tiptoes through the tulips! 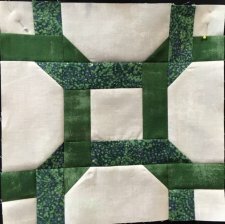 The individual blocks are posted below each month as they are revealed.